The bull Execrabilis, issued by Pope Pius II four days after the Congress of Mantua in 1460, symbolically ended the conciliar movement of the fourteenth and fifteenth centuries. The high point of the late medieval conciliar movement was the Council of Constance (1414-1419), which resolved the Great Western Schism, asserted the superiority of council to pope, and mandated the regular convocation of councils for the purpose of reforming the church. With the restoration of a single papal line (in contrast to the two and three rival popes during the schism), however, tensions arose between pope and council. By the time of the Council of Basel (1431-1449), repeated attempts by the pope to dissolve or transfer the council and by the council to depose the pope led to a split. The minority followed Pope Eugenius IV in transferring the council to Ferrara and then Florence for reunion talks with the Greeks, while the majority remained in Basel, deposing Eugenius and electing an antipope in Felix V (Amadeus of Savoy), only to see its numbers dwindle and transfer to Lausanne before abdicating. By that time secular government had intervened in the controversy, as Holy Roman Emperor Frederick III signed the Concordat of Vienna in 1448 supporting the papacy against what remained of the Basel council in exchange for certain liberties within the German church. While this brought late medieval conciliarism to its conclusion politically, the last ecclesiastical note was sounded in Pius II’s Execrabilis. 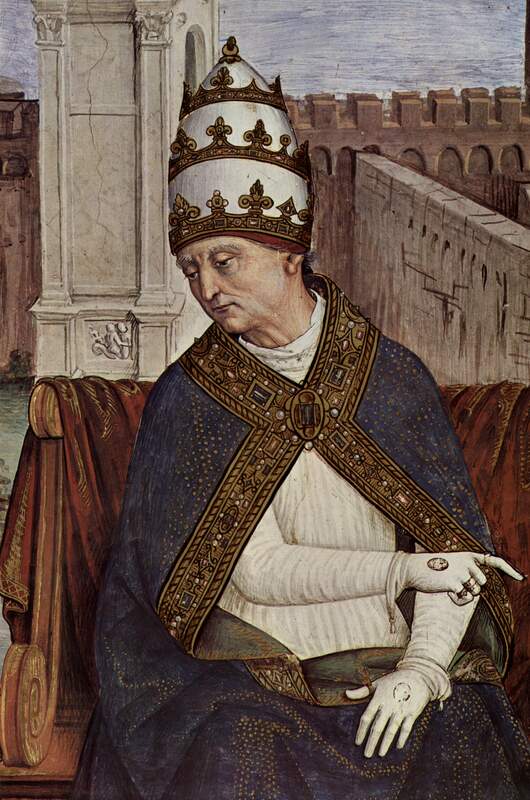 Pius II was the former Aeneas Sylvius Piccolomini, a noted humanist, poet, and canon lawyer who served in various positions at the Council of Basel. He sided with the Basal majority in resisting the transfer to Ferrara, voted in favor of deposing Eugenius, and was even master of ceremonies at the coronation of the new antipope, Felix. Quickly growing discontent with the situation, he adopted the policy of neutrality favored at the time by Frederick III (who named him poet laureate of Germany) in the early days of the conflict, before eventually reconciling with Eugenius, rising to bishop of Triete and Siena, then becoming cardinal of Santa Sabina before election as pope in 1458. Among his major goals as pope were the continued rebuilding of Rome, a crusade to retake Jerusalem, and the improvement of conflicts with the church hierarchy. In 1459, he called the Congress of Mantua to address numerous issues within the church, including the habit of appealing papal decisions to future general councils. This had become common practice during the conciliar movement whenever respective parties were unhappy with Rome and sought to have their grievances redressed at a council. When rifts between ecclesiastical authorities and their secular or monastic opponents continued, Pius chose to put a legislative end to them with his 1460 bull. Execrabilis proscribed the appeal of papal decisions to future councils on the grounds that one cannot appeal from something that currently exists, such as a pope, to something that does not exist, in this case a council. Any attempt to do so would henceforth be subject to excommunication. Though the bull did not provide the final verdict on appealing to councils the pope might have desired, as calls for councils continued throughout the period of the Reformation, it nonetheless symbolized the end of late medieval conciliarism’s efforts to reform papal authority.